Two companies, Petersfield & Rey Group Limited and CASA de Ropa, operating under the government’s flagship initiative of 1-District-1- Factory (1D1F) have commenced production. 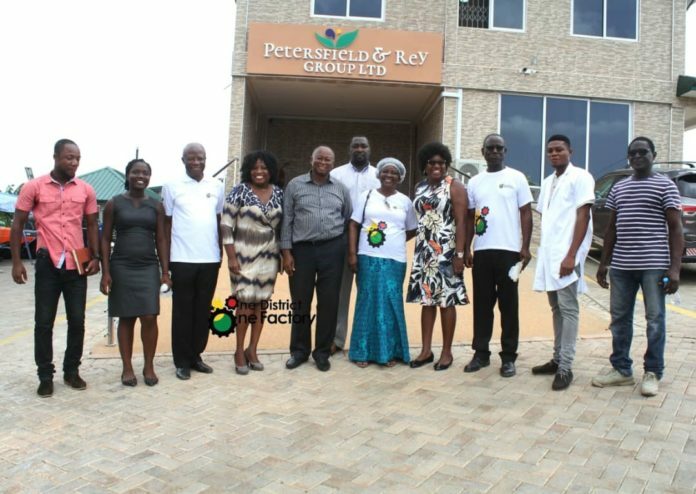 Mr. Lomotey told Mrs. Ohene-Konadu that Petersfield & Rey Group, having entered the local market with Reydrops – natural mineral water, is currently doing test-runs on its soft drinks and pure natural fruit-juice production line. In addition to those, the Ministry of Energy is assisting them with a 500kVA transformer to run the company. The KEEA Municipal Assembly has also assisted the farmers by constructing the road to their farms.